Felix Bush (Robert Duvall) is a man living a reclusive life, isolated from the townsfolk who are convinced that he is evil personified, with only an old photograph to keep him company. One day he rides into town to organise his funeral, only he wants his funeral to be held while he is still alive, so that he can hear the stories that will be told about him. Sensing the opportunity to make a lot of money Frank Quinn (Bill Murray), and his assistant Buddy Robinson (Lucas Black), helps make it happen. The mysterious Felix wants to be able to tell his story, which somehow involves the widow Maddie Darrow (Sissy Spacek) and preacher Charlie Jackson (Bill Cobbs) as well as the mysterious photograph of a young woman. 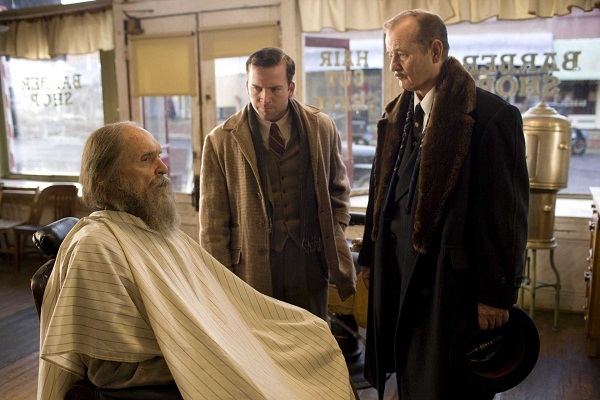 The story is based upon an American folktale, bought to the screen for the first time, based upon the true story of the real Felix Bush, who held a living funeral in 1938 in Tennessee. The story draws the audience in and has them constantly wondering what is driving Felix to want to tell his story. It does seem like a weak concept to maintain over the full 102 minutes but, thanks in large part to the strength of the cast, the film never bored me. 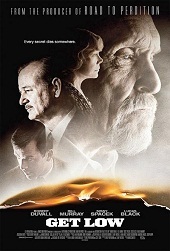 This film is made so much better by the cast, who are so fascinating to watch, especially Bill Murray, who is such a brilliant comic actor, playing the shonky, alcoholic funeral home owner. Murray makes a film that could have been dreary, in terms of the subject matter, incredibly funny. 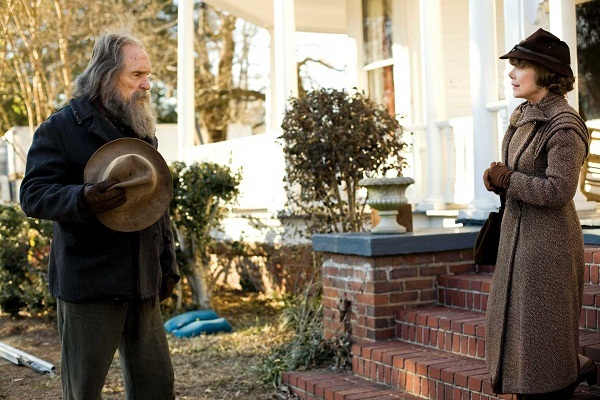 The more serious aspects are played out beautifully by Sissy Spacek and Robert Duvall. It is clear that a lot of effort went in to finding the right cast to tell this story. The major problem with this film is that it sets up an intriguing concept, someone wanting to explain themselves to everyone before they die, but the delivery of it lacked any punch. It was a relief to finally work out what the mystery was behind Felix's intriguing behavior but I wasn't overly moved by it. The long speech that serves as the big reveal felt too long and not nearly as shocking as you might expect. . It is a disappointing end to a film that is otherwise very amusing and easy to watch. It isn't a very strong story but the acting and the characters allow for that not to matter. Murray provides the entertainment and Duvall and Spacek the emotional heart of the film. Overall it is a good debut feature film for the director Aaron Schneider, who has previously won an Academy Award for his short film Two Soldiers.